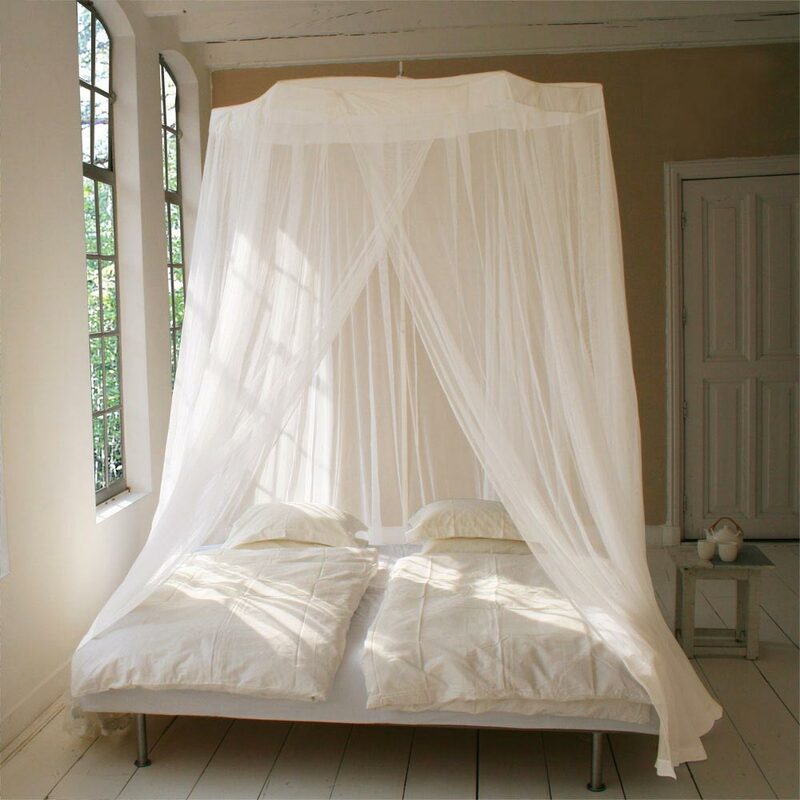 This very large round Mosquito Net Classic can be mounted above the bed at one point on the ceiling and is suitable for medium and large size beds. 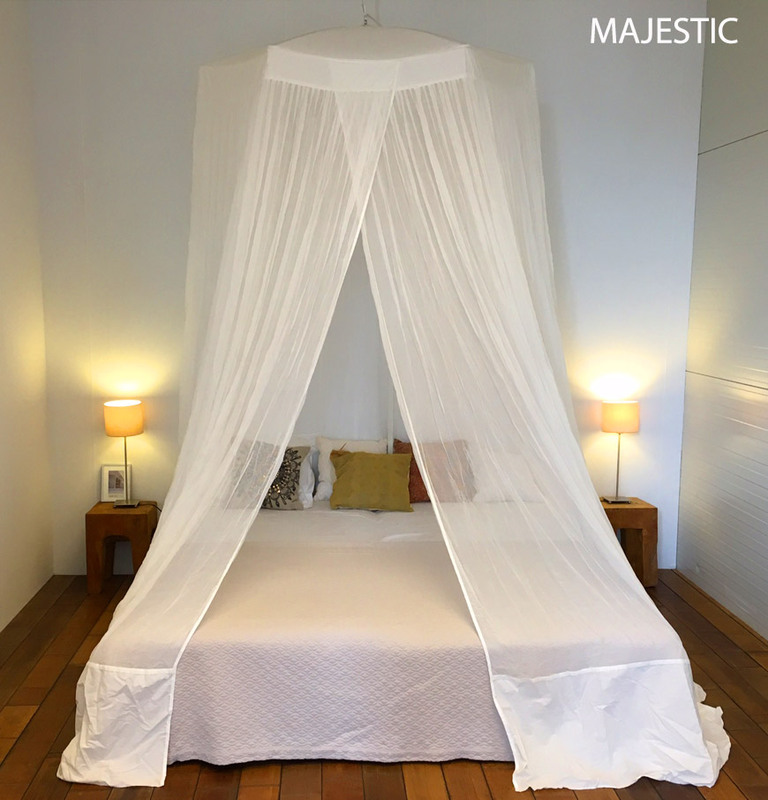 The Mosquito Net 'Classic' Net has a flat top and is beautifully crafted with a border sheet along the opening and a 5cm border sheet at the bottom. 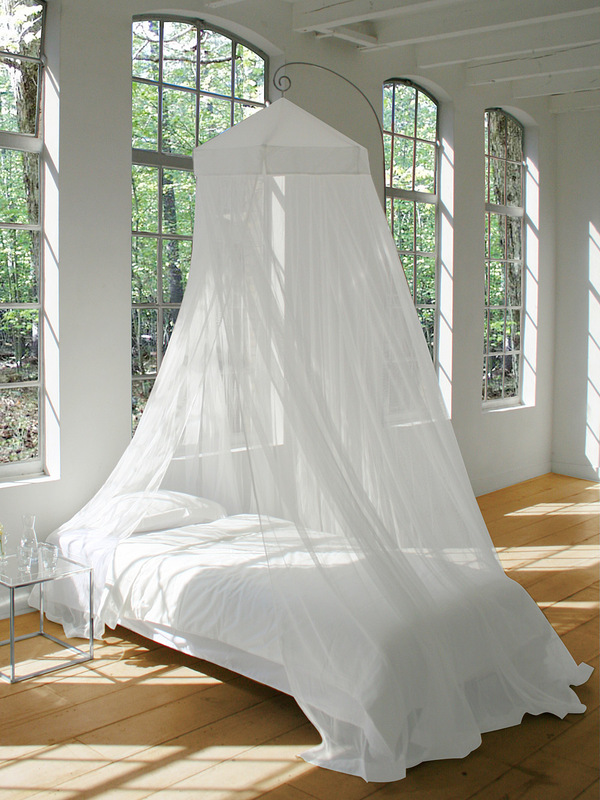 The Mosquito Net 'Regular Royale' is a smaller version of the 'Classic Royale'. It is suitable for single and queen-size beds. 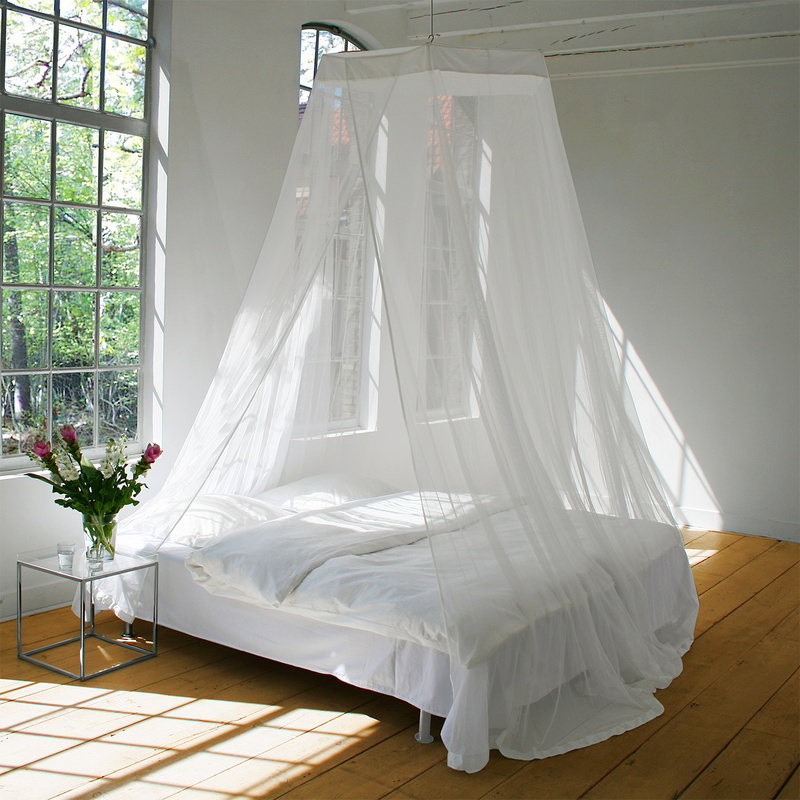 The Bamboo Mosquito Net is also available in a Rectangular Bamboo Mosquito Net version.